I also played the second game, The Metal Age, which focuses on an even more radical sect of the Hammerites, who being a religion of order and machines, make it feel almost like steampunk, with the Sword & Sorcery elements virtually completely absent. Though the level design is greatly improved and the most annoying enemies from the first game almost completely absent, I couldn’t really enjoy the second game for that reason. The first game is all about magic, haunted places, and a twisted evil god and his creatures, and their nightmarish chaos creeping into the city. The second game is all about warehouses and office buildings, avoiding security golems and the like, and that just didn’t do it for me. It is the better game, but with a much weaker story and atmosphere, as far as I am concerned. The third game I didn’t get to run on my computer, and the less is said about the fourth, the better. But the first game, it really is quite amazing. 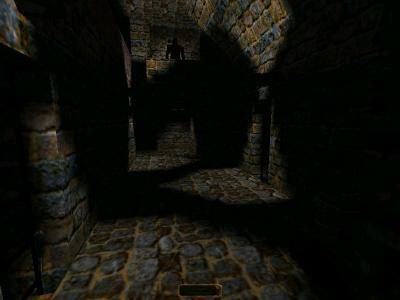 The game uses first person perspective, which might seem somewhat unusual as it’s normally used almost exclusively for shoting games, but I guess at the time it was an approach that both game developers working with 3D engines and players were already familiar with and so they just went with that instead of trying something completely different and new. 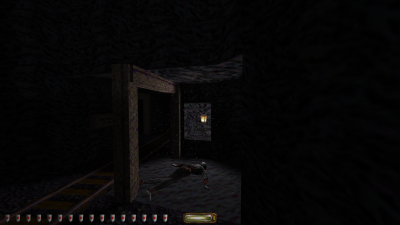 But I think it actually works really well, especially for the parts of the game that are really quite spooky. The Penumbra and Amnesia games are pure horror games and are doing very well with this approach, too. You have a sword, but it probably will see very little use except for a few special cases later in the game. In this game, fighting means you failed at being sneaky. The actual main weapons are a club to knock people out from behind, and a bow, which is not usually used to shot people, but to fire all kinds of special arrows, which are the primary tools for getting into places and around guards. The water arrow can extinguish any open flame and though guards notice it, they will not lit it again. Since shadows make you practically invisible, these are always super handy. The moss arrow contains a capsule with magical moss seeds that will grow into a patch of moss about a meter across within a few seconds, allowing you to walk silently on wooden and stone floors. While Garrett is always sneaking around in tap dance shoes is a bit of a mystery, but having to take care of any sound you make is a nice gameplay element. The rope arrow will stick firmly to any wooden surface it is shot at and then uncoil a rope strong enough to climb. It still flies as easily as any other arrow, which I assume is because of magic. You also can pull it out and reuse it again, even though it can hold your full weight, which clearly must be the work of magic. And finally there is the fire arrow, which can light things on fire, or make zombies explode so they don’t get up again after being hit by the sword. You can also uses fountains or vials of holy water to turn your arrows into undead slaying arrows for a minute or so. Your bag of tricks is not as big as in most other stealth games back then and since, but it really is more than enough to always make the game exciting and puzzles fun. For the first couple of levels you are doing a number of various break-ins, which are only loosely connected. You steal works of art, documents, and at one point even break a friend out of prison. And on the way you grab everything of value that is not nailed down. At the end of the level you get a reward, plus all the other valuables you collected, which will be your budget for buying supplies for the next level. For gameplay reason, all the money you don’t spend is lost and any equipment you don’t use is not carried ove into the next level. Otherwise it would be impossible to balance the challenges to both players who collect very little or grab absolutely eveything. Getting a lot of loot helps you with the next level, but doesn’t mak a difference in the long run. In almost any level there are a number of locke doors which you can not pick and you have to find a key for. Quite often the key is on the belt of a guard, which you can either knock out, or just sneakily pick the key from them. Others have coin purses or healing potions, which are also nice to get. On normal difficulty you simply have to find the item you are looking for and pick it up, and then the level is immediately over. Hard difficulty is immensely more fun, as you not only have to grab the item but also sneak out of the place again, often using a different route. Usually without killing any humans. This not only makes many levels about a third longer (and therefore the whole game), but also requires much smarter methods of getting to your goal. Simply running past the guards in the same room with the item won’t do. The levels are often very big and you move around very slowly. I think most probaby take between one and two hours, depending on how good you are and how flawlessly your personal pride demands to pull everything off. Slowly knocking out every person in the building and hiding them in safe spots works, but is not nearly as satisfying as walking around them unseen. I also like the maps. You really have to use the maps or you will have no clue where you need to go. There are always dozens of rooms and corridors with lots of connections between them. And sometimes secret passages. The maps are not just clear layouts of the area, but instead you have rough sketches scribbled down on several papers. Sometimes you’re in luck and have proper building plans, at other times you have almost nothing. The only help you get is that the map screen always shows you in what area you currently are, otherwise it probably would be nightmare. After a couple of levels like this, you get contacted by a man who has become aware of your exploits and has need of someone with your amazing skills. Because he has a job he thinks nobody else would be able to do. Which is where the main story really kicks off. The version that I played is Thief Gold, which adds several new levels to the game and is the version everyone should play. And the one I believe to be on GOG. The first release of the game was criticized for having too few levels in which you break into rich people’s places and steal their stuff, and that for most of the game you sneak around ruins and caves full of monsters instead of doing actual thieving. The new levels from Thief Gold address that and are all about that. They are not just like an add-on or are put between the early introduction levels and the later main storey levels, but spread out quite evenly through the whole game. And somehow they managed to do it so seamlessly that you wouldn’t even know that they added something later unless someone told you. And even if you do, it’s impossible to tell which ones are old and which ones new. At one point in the game you have to find four items. Originally there were two items each in two levels. But then they removed one item from each level and gave them both their own levels. And since the new levels are both again in human buildings with human guards, it breaks up the monotony of monster caves very nicely. It feels a bit like getting the four items take forever now (which it does, originally it took half as much time), but that’s a very minor tradeoff and the new levels are all great. Now while the mechanics of the gameplay are fun in themselves, I think it really is the atmosphere and the story that make it shine. Or not, since they are both very dark. 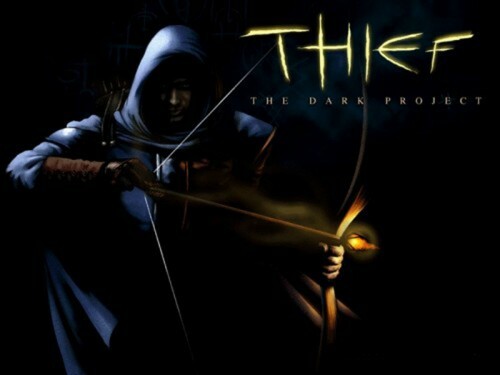 The Thief series is the only case I know that blends medieval fantasy with Noir. And it works perfectly. If you’ve seen The Maltese Falcon or Casablanca, you’ll immediately recognize the games as Noir. They have it all: Shady businessmen, corrupt watchmen, mysterious women, fancy houses, and it’s always night. And usually raining. But the plot of this game is also Sword & Sorcery. Not at all like Robert Howard, but very much like Karl Wagner or the darkest works of Fritz Leiber. 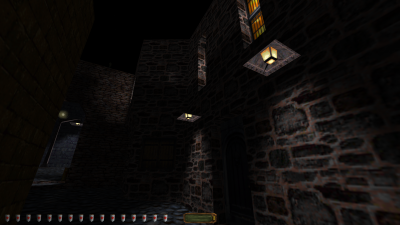 Of course, this combination also gives the later parts of the game a slightly Lovecraftian feel. It’s very difficult to talk about the plot without giving away too much. It’s a story of deception and betrayal, where nothing is really as it seems at first and nobody is trustworthy. It leads to a number of different locations. Not just fancy mansions, but also a prison, zombie-haunted catacombs, a ruined and abandoned, quarter of the city, a hammerite temple, and an ancient cave city. The new levels also lead you into an opera house and a wizard academy. And then there’s of course the infamous mansion of Constantine, which really is one of the greatest gems of the whole series. It’s really unusual and weird, but if there’s any chance that you might play this game, I really recommend not looking up anything related to it. While many people probably would not instinctively group the game with Sword & Sorcery, I think there is a very strong kinship. Most of the world seems almost magic free and to have more in common with steampunk. 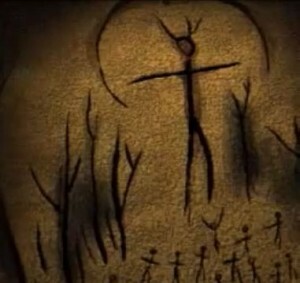 But this game also has a very strong supernatural element to it. It’s not the zombies or the wizards of the mage tower, but the mysterious plot related to the Pagans. They are a very strange bunch, even much more so than the Hammerites. 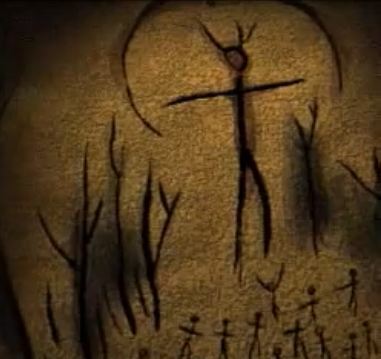 They would not feel out of places on Twin Peaks or X-Files, and I would not be surprised at all if the makers of this game were fans of those shows. But also, Garrett pretty much fits the mold of classic Sword & Sorcery heroes. He’s exist in a position outside of regular society (being a thief for hire who works only independent), who gets involved with things for personal and selfish reasons (making money and getting rid of personal enemies), and he also takes the initiative and uses daring acts to get closer to his goal. He doesn’t wade through a sea of enemies and cuts them down with an axe. Instead he sneaks into very high security and dangerous places, which is just as crazy and amazing, just in a somewhat different way. He doesn’t fight and doesn’t kill unless you make him, but he’s still pulling of insane stunts left and right. And of course, he’s constantly making comments on things that are wonderfully sarcastic. He may not look like it, but Garrett is in most ways a classic Sword & Sorcery hero. In addition to being both Noir and Sword & Sorcery, this game also would have little trouble being classified as a horror game. Many levels are completely free of any horror elements and the others are not particularly horrific. But they are really damn spooky! The undead are not that terribly frightening either. But in this game you are always alone and in the middle of the night. And in the spooky levels you also creep around in old abandoned places with no living human soul anywhere, and most of the time barely any light. And of course, you always rely on stealth and there isn’t much to find in the way of weapons or healing. It all helps to create an atmosphere that is perhaps not terrifying, but super spooky. Perhaps the word creepy also doesn’t really describe it, but it’s the spookiest thing I’ve ever seen. To sum up my thoughts on this game, it’s great. I feel like this will be one of my long time favorites, even though I really played it only this year. And even as old as it is, I highly recommend it. To my knowledge, there isn’t really anything like it around these days. Dishonored may look somewhat similar, but it’s really a completely different thing. I can’t really think of any group of people who play fantasy games, who would not like it. If you don’t like stealth games in general or you’re not a fan of spooky games, then this game probably is not for you. But to everyone else, I really do recommend giving it a look. It’s on Good Old Games and pretty much dirt cheap. 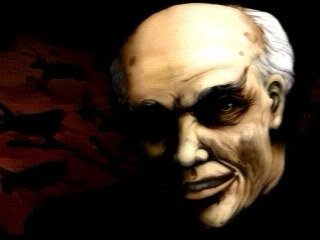 Getting old games to run on modern computers can often be challenging, but when you get it from GOG, it usually has been updated to work without problems.